Today, business is conducted on a global level; therefore, creating a demand to balance cross-cultural language barriers with effective ways of communication. Professional interpreters balance communication by uniting the common goals of markets through linguistics. 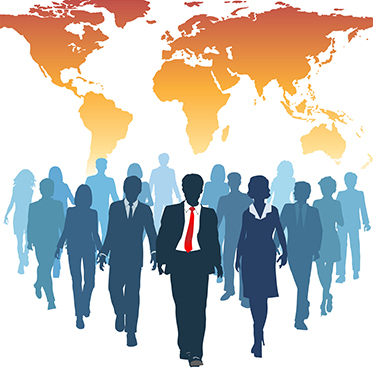 With certifications, degrees, and credentials that span all global markets, Continental Languages, LLC, can provide an interpreter specific to your enterprise market. At all levels of education, Continental Languages, LLC, has successfully assisted in bridging the communication gap between student, teacher, counselors, administration, and family. Whether it be a first grade parent-teacher conference or a guest speaker at a university level economics course, our interpreters will appropriately relay the information being exchanged with accuracy and professionalism. Continental Languages, LLC, has been a trusted provider of on-site interpreting services for many government agencies in Cook County, IL, and Lake & Porter County, IN, for the past 25 years. It is because of our commitment to excellence in our field that we have established such consistency within the courts and various departments. Technological advances now allow us to offer Over-The-Phone Interpreting (OPI) and Video Remote Interpreting (VRI) which is being utilized more and more worldwide in court room, classroom, and various business settings. Contact us directly to learn more. Interpreter Qualifications–Our interpreters come to us from diverse backgrounds. Their skill sets encompass many different backgrounds, including their length of experience, honed skills, state & federal certifications, and association affiliations. Just ask –interpreter credentials are available. 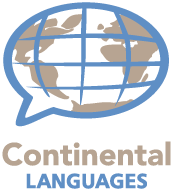 With certifications, degrees, and credentials that span all global markets, Continental Languages, LLC, can provide an interpreter specific to your enterprise market in Chicago, surrounding suburbs, Northwest Indiana and across the country. Do you need an interpreter or a translator? Maybe just have a question about our services or rates? Click the button on the right and let’s get started.